Most of us can agree that a dog makes everything better — including horror films! These ten furry friends have helped enhance some of our favorite flicks. 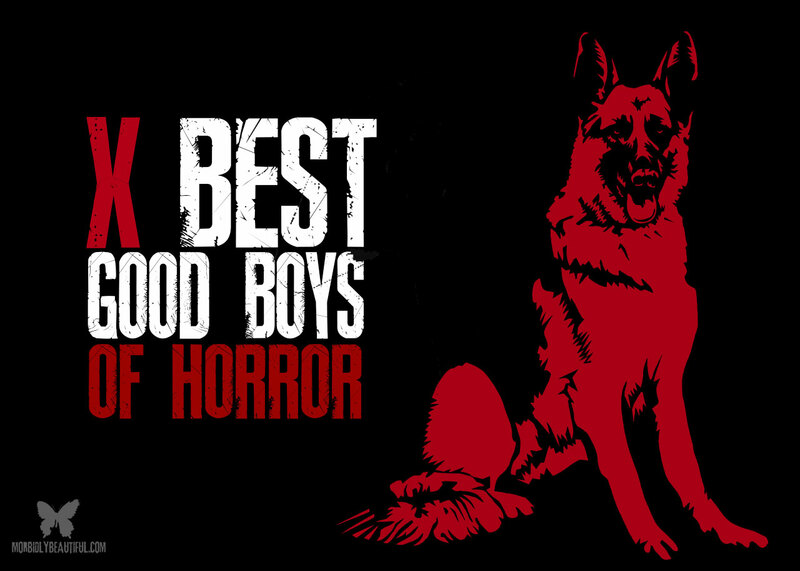 In honor of the cuddly (and creepy) dogs in our lives, here are some of the best good boys and girls that horror has to offer. 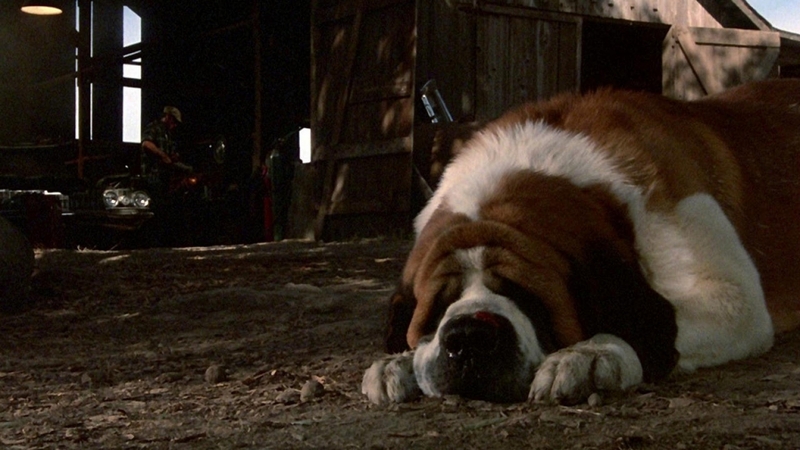 This isn’t a comprehensive list by any means, but these pooches are a good start when it comes to dogs in horror. Author’s Note: If you’re easily upset by depictions of animal death and want to know ahead of watching if an animal is injured or killed feel free to visit https://www.doesthedogdie.com/ to save yourself some heartache and/or prepare yourself for a viewing. Jangers, the one-eyed American Bulldog, is Dale’s other best friend besides Tucker. 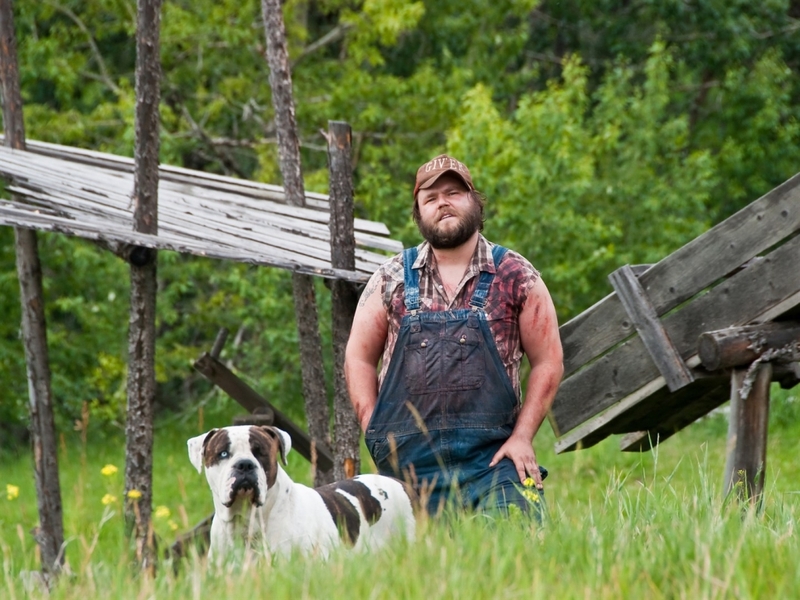 This sweet boy has the misfortune of getting caught up in the shenanigans involving a group of college kids who are convinced that Tucker and Dale are murderous hillbillies. At one point Jangers is even held hostage by the hysterical co-eds, which results in a relatable dog owner moment where Dale pleads for the safety of his beloved buddy. 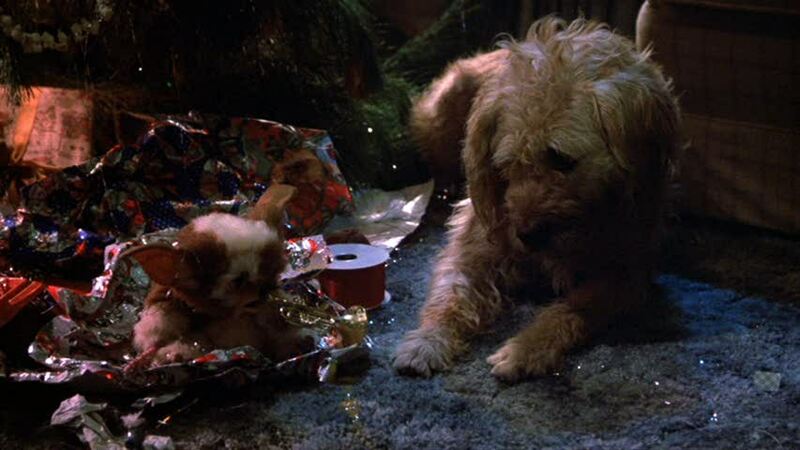 No list would be complete without Billy Peltzer’s scruffy and lovable buddy Barney who sticks by his and Gizmo’s sides throughout the classic Christmas horror film. Paired with Gizmo, we get a treat of two cute critters in one memorably fun movie that’s still enjoyed by audiences of all ages. It’s difficult to stifle any aw’s when Gizmo calls Barney “Woof Woof”? I can easily say that Barney and Gizmo are the most adorable duo featured on this list. Dickie serves as the guide dog for the haunting character of Emily in Lucio Fulci’s supernatural horror feast that centers on a sinister hotel and even more sinister painting. Emily and Dickie do not fair very well in the film, to say the least, but the German shepherd and his owner are at the center of some unsettlingly beautiful shots (there’s even a maquette produced by a Japanese company based on one particular iconic shot). To say much more about Dickie and Emily would be to spoil a good portion of this film in its entirety. “D for Dogfight” is a heartrending look at the bond between dog and owner. This short segment is difficult to watch due to its intense subject matter, though could we expect anything less from the director of the film Deadgirl? The basic premise revolves around underground dogfights with a sick twist. These particular fights pit man against dog for the entertainment of others. This entry was brought to my attention by fellow staff writer Jamie Marino, who never fails to be moved by the emotional impact that the short has. 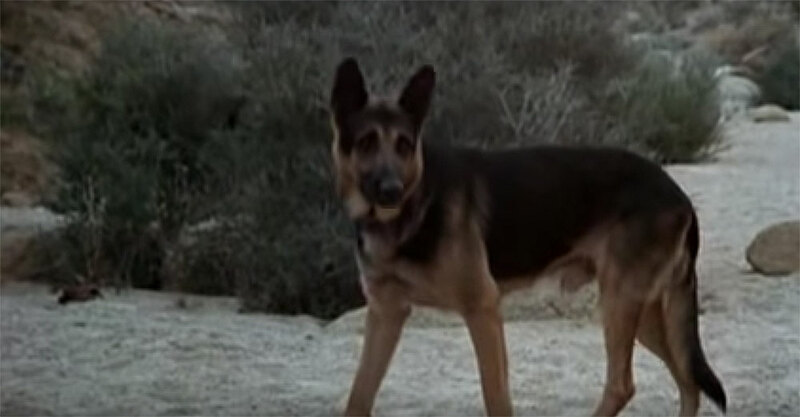 There are two gorgeous and stately German shepherds in both versions of The Hills Have Eyes. The pair are named Beauty and Beast. Beauty meets her demise early on in both films, leaving Beast as the surviving half of the duo. Beast lives up to his name is very much a beast throughout the film, holding his own against mutant cannibals. In both the original and the remake Beast is given some truly glorious and bloody badass scenes. There’s lots of German shepherds on this list, and Sam is one of them. Sam is perhaps the perfect companion for the end of the world due to her being loyal and loving to a fault. The bond between Sam and Robert is one of the biggest highlights of the movie and speak to the importance of the friendships between humans and animals. 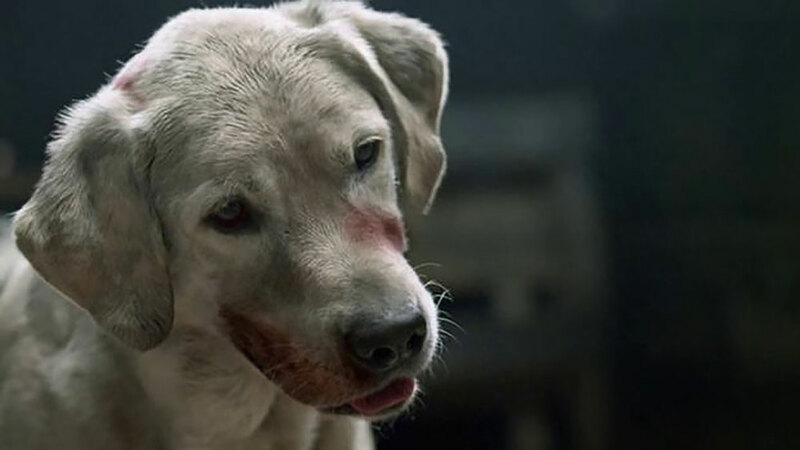 If the gripping moments of the film are too much for you it might make you happy to know that the dog actress who played Sam is still alive and doing well per this smile-inducing article published last year. It’s not every day that you see dachshund in film, let alone a horror movie. 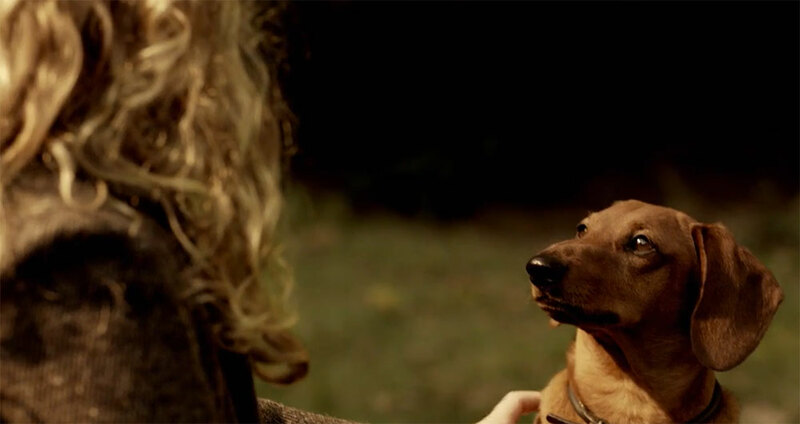 Much to my dachshund owner and horror aficionado delight Handsome was featured in Andy Muschietti’s first feature length film Mama. Handsome’s not too important to the plot, but he does make a strikingly endearing addition to the film seeing that he was the girls’ dog before they were lost in the woods. Victoria has a touching moment reconnecting with Handsome, who had been in Lucas and Annabel’s care while the girls were lost. Nanook, a beautiful Alaskan malamute, doesn’t hesitate to protect his owner Sam. Like some dogs, Nanook is obviously a one person dog and has a deep love for his boy. He even goes as far as biting Sam’s brother Michael when he senses that Michael has been transformed into a vampire, fearing that he may harm his owner. Not to mention he helps out Allan and Edgar later on in a climactic and satisfying showdown. We’ve all seen precious Bugsy featured in promotional materials for The Babadook. One particular image involves him peering cutely under the bed the bed to check for monsters with his owners Amelia and Sam. Not much about The Babadook is cute except for Bugsy. The film is devastating to say the least, and some of the most disturbing content of the film involves Bugsy himself. Not a dog person? Stay tuned for the sequel to this list. I have a feline you might like that one better. Jamie Alvey inherited her love of horror from her mother and has loved all things creepy and cute from the time she was small. She went on to become a writer and attain a bachelors in English and theatre and a master’s in literature. When she’s not writing she can be found cuddling with her pets, which include two dogs named Homer and Tater and a cat named after Herbert West.